FORT BRAGG, N.C. (WNCN) — An 82nd Airborne Division paratrooper died off-post on Wednesday, Fort Bragg officials said. Sgt. 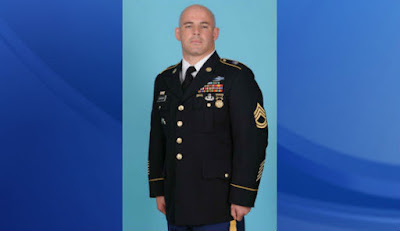 1st Class Grant Shanaman, 38, of Media, Pennsylvania, was an infantryman assigned to Headquarters and Headquarters Company, 2nd Brigade Combat Team, 82nd Airborne Division. Shanaman joined the Army in 1998 and served 10 combat deployments in Iraq and Afghanistan for a total of 36 months, Army officials said. He spent more than 11 of his 18 years in the service with the 75th Ranger Regiment.